We’ve been hearing whispers about Black Panther’s arrival in the Marvel Cinematic Universe for years and years now, and while he hasn’t shown up yet, it may not be long before the character makes his live-action feature debut. After all, the brand new Avengers: Age of Ultron trailer has what appear to be some rather big hints that Black Panther is coming sooner rather than later. In case you don’t recognize him outside of a performance capture leotard, that’s Dawn of the Planet of the Apes’ Andy Serkis, sporting a mop top and a pretty interesting looking beard. We’ve known that the actor has a role in The Avengers: Age of Ultron for a few months now, the official identity being kept a secret, but his appearance here is reminiscent of one comic book character in particular: the Black Panther villain Ulysses Klaw. 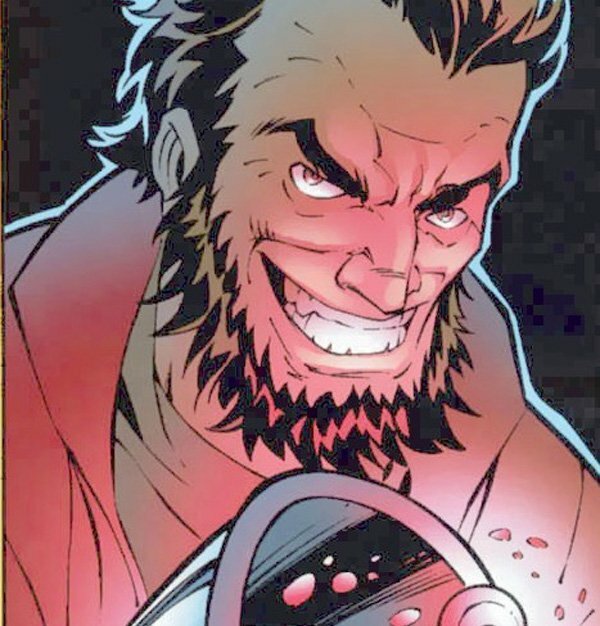 In the comics, Klaw is a supervillain and physicist who specializes in the field of sound. A key element to his work is the metal vibranium – a.k.a. the stuff Captain America’s shield is made out of – and as a result he often finds himself in the only place in the world where the metal can be found: Wakanda (Black Panther’s home). We’ve already heard rumors that part of The Avengers: Age of Ultron would be set in the African nation, and the appearance of a character that looks a whole lot like Ulysses Klaw only supports that idea. This scene may seem rather innocuous given that the image of forging metal isn’t really out of place in a film with a robot villain, but it’s very possible that there is more going on here than meets the eye. I’d be willing to put some money down now saying that what we are looking at here is Ultron visiting Wakanda and essentially making himself indestructible by coating his entire body in Vibranium. The idea simply fits too well with all of the other information we’ve gotten. The Avengers: Age of Ultron featuring scenes in Black Panther’s home country and one of his key adversaries isn’t necessarily proof that the hero will actually be appearing in the film, but it certainly does seem like a lot of set up. And why set it up unless you are going to let it pay off. Even if Black Panther isn’t in Avengers 2, it’s hard to imagine that he won’t be a part of the Marvel Cinematic Universe’s Phase Three. Now, enjoy that trailer one more time.